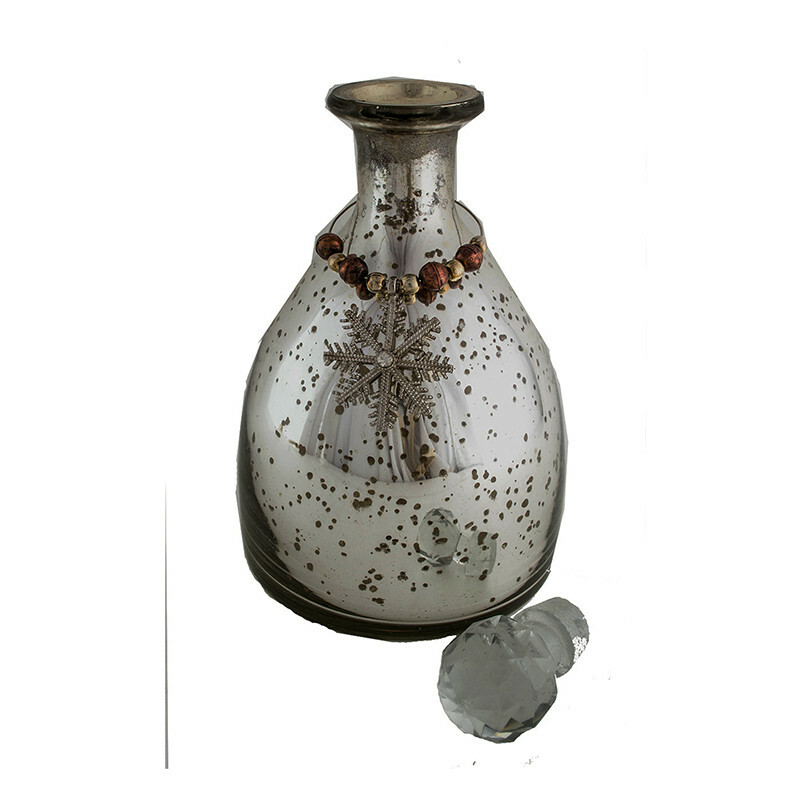 Add this vintage style bottle to remind you of bygone era and give an elegant touch to your home decor. 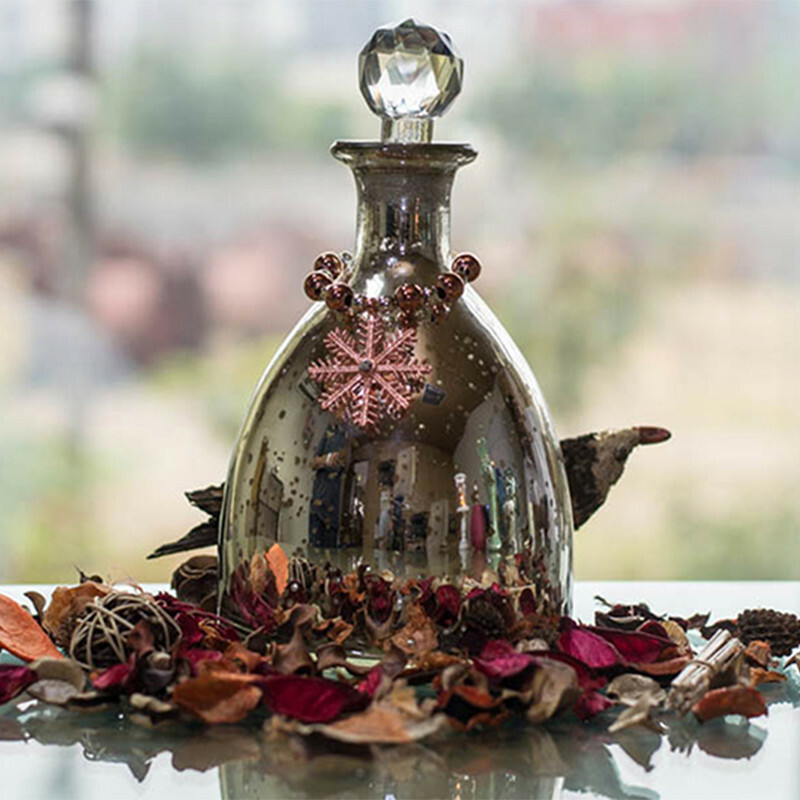 Let its reflective and shimmering surface charm you and your loved ones alike. 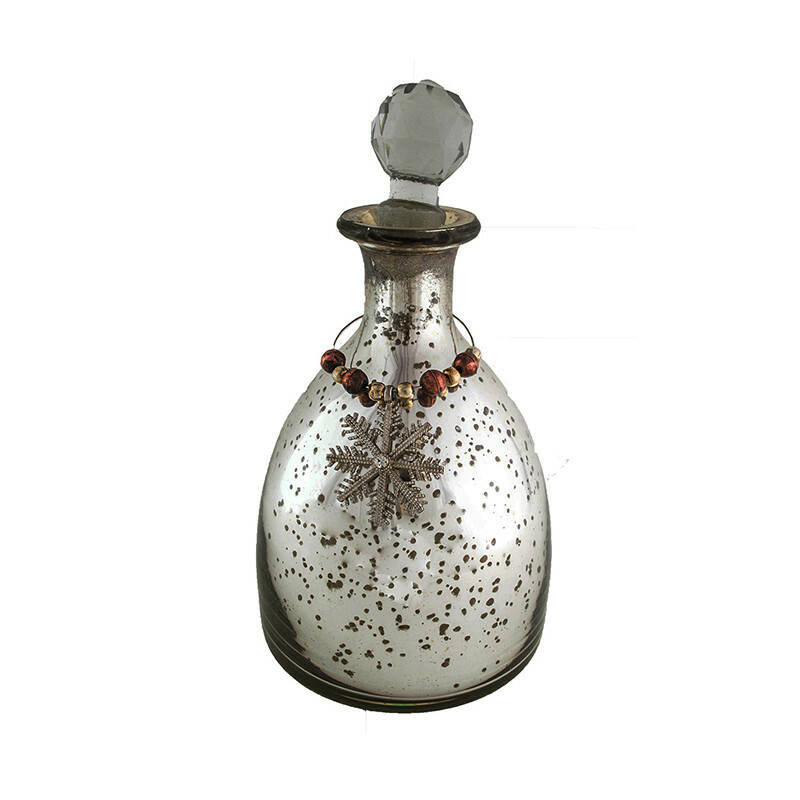 Made from Glass and coated with Pure Antique Silver from inside to give a royal and antique touch, and covered with protective layer to prevent tarnishing. Adored with a beautiful piece of hanging jewel to enhance its beauty.